Got Plans for May 8th? May is rapidly approaching and with it comes the 6th Annual Oneonta Spiritual Arts Fair! If you recall, last year I attended this event and had a fantastic time despite having some unfortunate car trouble. I’m really excited to have the opportunity to head out to Oneonta, NY and see how things go this year! Last year the place was packed with vendors and workshops and this year looks like it will be a full house and full day again! 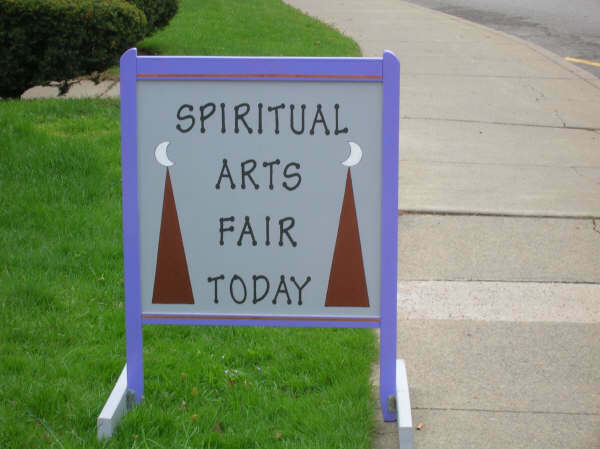 Some things to look forward to include: psychic readings, Yoga, Tai Chi, Tibetan Buddhist meditation, Zen meditation and chanting, aura photography, Feng Shui, tons of vendors, and more! Also, like last year, Llewellyn author Deborah Blake will be there selling and signing her books! This is a fun way to spend a Saturday! I hope to see some Magical Buffet readers there, but if you can’t make it, don’t despair, I intend to write all about it again this year!